Hunt Planning Service is located in the heart of Cheshire and has been operating since 1990. Over the past 15 years we have built up a reputation of providing our clients with a first class service at very competitive prices. 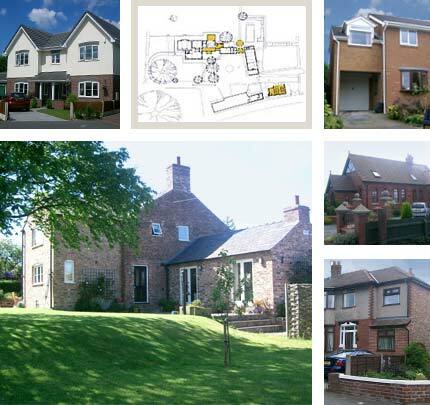 Every year we handle over 200 projects in the Cheshire, Wirral and North Wales area. We specialise in large and small house extensions, new houses, shop extensions, factory alterations, chapel conversions, loft conversions and conservatories. Telephone us on 01829 7441158 to arrange for a FREE quotation. An experienced, friendly surveyor talks through your requirements and explains the procedure thoroughly. Plans will be drawn up that will meet your expectations while also complying with the necessary requirements to gain permission to proceed. planning – deals with size, design, parking and effects on neighbours. Building control – deals with building regulations. House holders choice list - covers all items not covered above. We expedite the Planning and Building Control applic- ations and manage all the queries. most authorities take around 8 weeks for Planning 6 weeks for building control. These can run concurrently. plans are drawn within 3 weeks max. Architectural fees start at £150 and rarely rise above £700 plus council fees of aprox. £260 for an extension. many plans are drawn to the customers requirements without regard for planning limitations – deal with someone who is prepared to tell you if your ideas will be clearly unacceptable to the planners. if you live in the West of Cheshire, North Wales or Wirral we almost certainly have helped people in your village, please contact us for references.